Upgrade Your Air Conditioning System Before Summer Hits | Clean Air Act Inc. If you have something more radical in mind, you might look into an upgrade or two to your system. These are options that can lower your energy bills, allow more precise cooling power and generally make your home more comfortable. If that sounds like something your home could use, now is the time to talk about an installation. The type of upgrade you need depends a great deal on the specifics of your home. Every household is different, after all, and what works for one person’s home may not work for another’s. We’ve provided a brief list of some options below, offering some idea of what each of them can offer. All HVAC systems come with a filter, designed to screen dust and dirt out of the air as the system runs. It works, but the filters are messy and require changing every month. Worse, they can’t always get every speck of dirt, since tiny particles can always slip through. 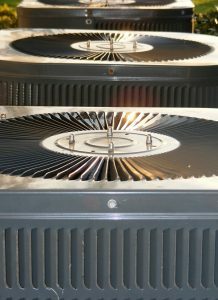 An electronic air cleaner, on the other hand, ionizes the particles instead of just screening them: causing them to stick to the sides of a collection pan. It provides comprehensive dust removal, capturing even the smallest particle and ensuring that it no longer circulates through your home. This can benefit any home, but especially homes with people who spend a great deal of time outdoors, or who have sensitive or vulnerable family members. If germs are a particular concern in your home, consider the benefits of a UV air purifier. The UV stands for ultraviolet, a kind of light we cannot see, but can feel nonetheless. UV light bulbs are harmless to humans and pets (they’re what causes our white clothing to glow in the dark at rock concerts or amusement parks). But they’re lethal to germs and bacteria. When installed in your ducts, they can make your air cleaner and healthier: reducing the risk of illnesses in your home. Humid air is common in our part of the world, and when combined with high summer temperatures, it can make your home feel like a swamp. Air conditioners can address high humidity levels by default, but they’re not built for it and the results can cost you a lot in wasted cooling energy. A whole-house dehumidifier, on the other hand, can take care of the problem properly: allowing you to set humidity levels to taste and taking a big burden off of your air conditioning in the bargain. Over time, it can even extend the lifespan of your air conditioning system. If any of these indoor air quality products sounds like a good fit for your Beaverton, OR home, or you already have one and it could use a little spring tune-up, call the friendly professionals at The Clean Air Act today!